There are some pests that can be exterminated with just one or two treatments. However, cockroaches are not one of them. It can take several weekly visits from a professional pest control company to resolve a cockroach infestation. If you want to avoid the disruption to your business operations and the cost, your best option is to be proactive. 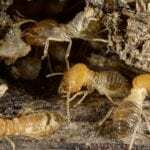 If you have a business that is at risk for cockroaches, it makes sense to have a professional providing commercial cockroach control. Cockroaches are like rodents – for each one you see, there are dozens, if not hundreds, you don’t, but they are quite active behind the scenes and come out to play after you’ve closed up for the day. Many people feel squeamish about cockroaches but think of them only as a nuisance. The reality is that they can be a serious health risk by carrying bacteria to not only food, but also to where it is prepared. If you own a restaurant or food distribution company, or simply have a breakroom for the use of your employees in any industry, you need to be proactive with commercial cockroach control. Salmonella bacteria and other contaminants aren’t something to mess around with. As for who is at risk – it’s pretty much everyone. While cockroaches are drawn to food, they aren’t against chewing their way through other materials you might not have thought about, such as the glue on envelopes. In fact, as omnivorous scavengers, they will eat just about anything organic. Even if your space is devoid of anything they’d eat, they can still wander in from adjacent buildings. If you want to keep your staff, customers, and your business safe, contact us at NC Pest Control to discuss commercial cockroach control. 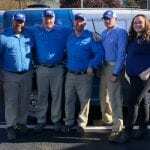 We will be happy to inspect your building for signs of a current problem, whether cockroaches or other pests, and provide our recommendations for extermination and proactive pest control to keep pests at bay. Call today to learn more about how to avoid having your business shut down because of an infestation.